We are the first to admit that over the years we have had many TV boyfriends that have come and gone. From cops and bikers to hot dads and fictional doctors. 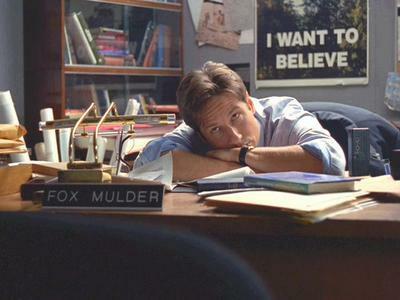 However, there has yet to be a man that has taken over the small screen and our small hearts the way Special Agent Fox Mulder has. His insatiable appetite for the truth while forever searching into the unknown depths of our planet are just a few of the reasons why he makes us swoon. In the spirit of the wonderful news that is giving millions of X-Files fans hope that a reunion is in the near future featuring our favourite FBI agents here are some more reasons why we just love Mulder. 1) He knows how to hold down a strong woman. The wonderful dynamic that Scully and Mulder have is one that makes fan boys and girls swoon to this day. Chasing after the bad guys, aliens and other mystical creatures together despite how different their beliefs are give us tingles to this day. 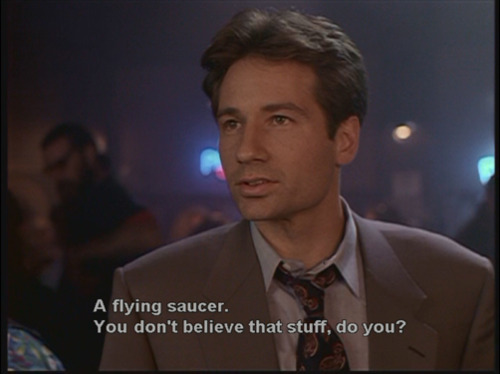 For every outrageous assumption made by Mulder is Scully; the voice of reason that chases down the truth alongside him despite it all. 2)He is passionate about what he does and will (and often has) gone to the ends of the world to find the truth and what he believes in. 3)The trench coats, suits, puppy dog eyes and nerdy vibes. 4) Even though its been decades since the shows premiere, he only gets better with time. Anyone remember how jacked and dishevelled he was during the last X-Files film? C'mon. He had a beard for gods sake! We can only anticipate how much more of a babe he will look like in the next instalment whether its in a movie or another season to the show. 5) Behind his intellect, lanky bod and boyish smile is a crusader for justice, answers to the unknown and the fight for proof that there is more out there in the universe. Check out the gallery below to reflect back on the hotness that was and forever is Fox Mulder.